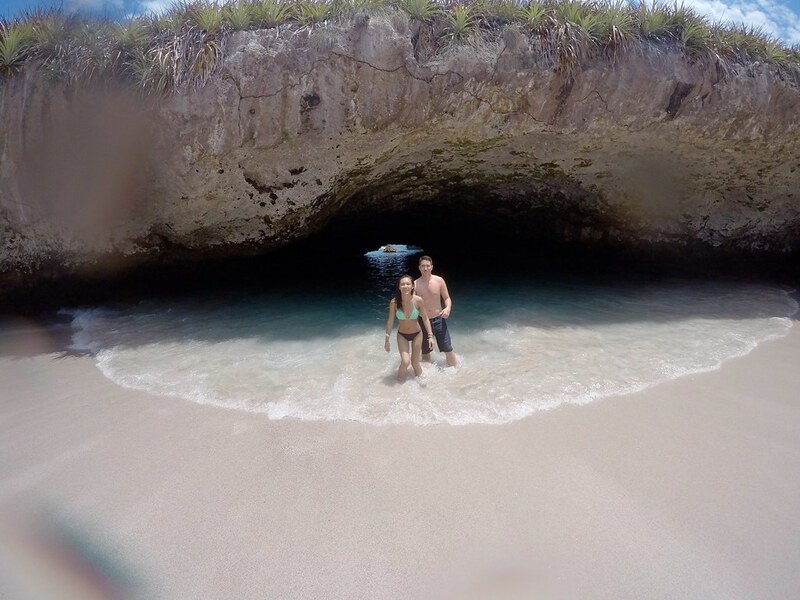 Before our trip to Puerto Vallarta (Punta Mita to be specific), I came across a post about the Hidden Beach of Marietas Islands on Pinterest, the site for a lot of my travel discoveries. I scrolled through the pictures, and they looked amazing! I didn’t look into how accessible it was because our intention was to stay inside our all-inclusive resort the whole time and chill pill it out. Funny enough, we talked to a couple at dinner on the first night, and they recommended we take a tour to Marietas Islands/Hidden Beach. The tour could be booked through the resort. With that said, it was a done deal. 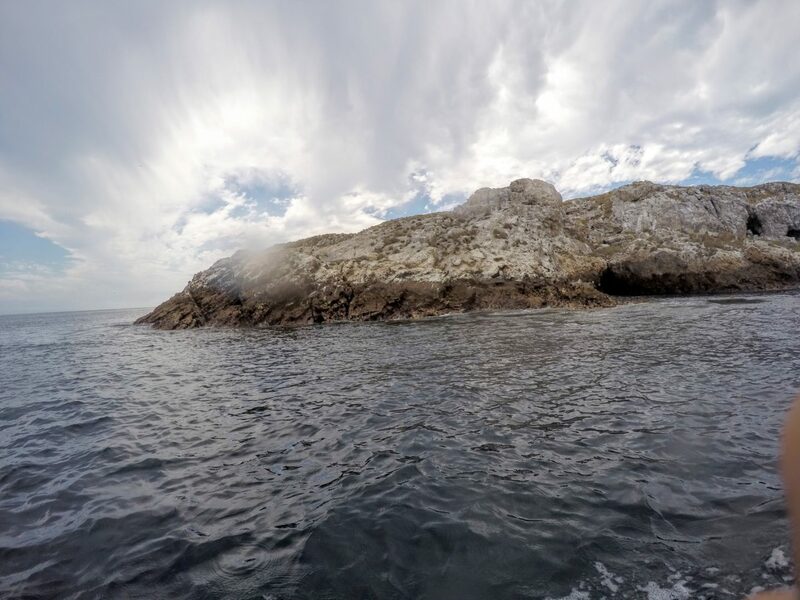 Formed by volcanic activity, Las Islas Marietas emerged off the coast of Punta Mita in La Bahia de Banderas (Banderas Bay). As these islands used to be a military site for bombs and artillery testing, some of the island formations and caves resulted from such activities. Not until the 1960s did the government declare it a national park and shut down all fishing and human activities in order to preserve the marine ecosystem and bird species. The site remains open to tourism today. Unfortunately, the government plans on closing it down this May; however, plans aren’t entirely final. Through the resort, we booked a tour that lasted 3 hours, taking us to Hidden Beach and snorkeling around the islands. The nice thing was that there were only six of us on this tour, making it friendly and intimate. Our tour guide, Julio, provided such a genuinely fun experience and really took care of us. Maybe all tour guides are this funny and friendly, but I always consider myself lucky whenever guides turn out to be more than a Wikipedia page. I would recommend booking with a company like Dressel Divers, the company that Julio is a part of. They host tours all over the place, so they’re credible. From our resort, a cab took us to Punta Mita beach, about 5-10 minutes away. Then, we took a boat out to Marietas Islands. The boat ride lasted about 20 minutes or so, stopping just outside the cave where we jumped into the salty water and swam our way through an archway. As we made our way to the beach, you look up, see a giant hole into the sky, and realize you are on a beach in a crater of an island. How weird and cool is that! Many tourists bombarded the beach the same time we did. The mystical air drifted away among the pile of life jackets and huddles of tourists taking pictures (me included). 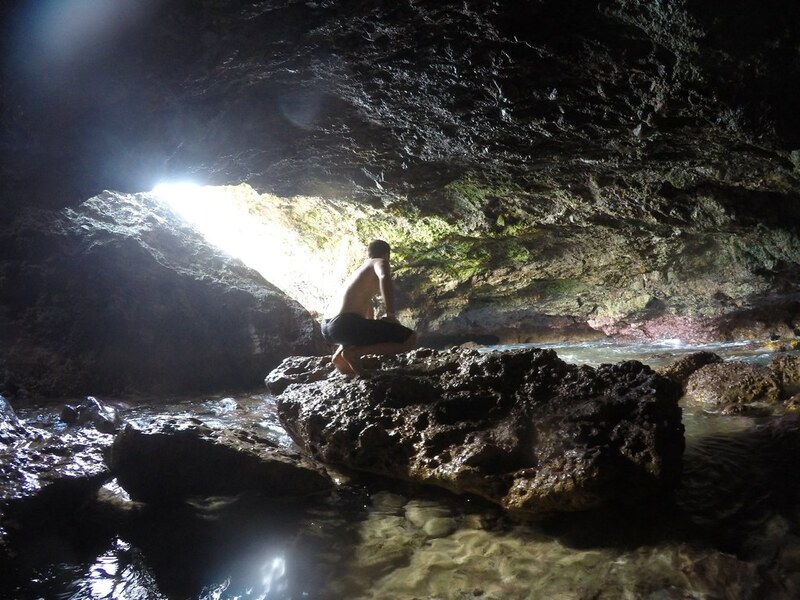 After catching our breath and taking pictures for 10 minutes, Julio led us through a side cave, crouching and walking carefully on slippery rocks. Upon reaching a small cove, we discovered an opening to the other side of the island! Seemed like this small cove gets violent visits by the waves, so you can’t swim through the cave this way. Crowds dwindled down as we made our way back from the cave. Ah, more serene and beautiful. Wrapping up on this beach, we then swam back to our boat. Next up, snorkeling! 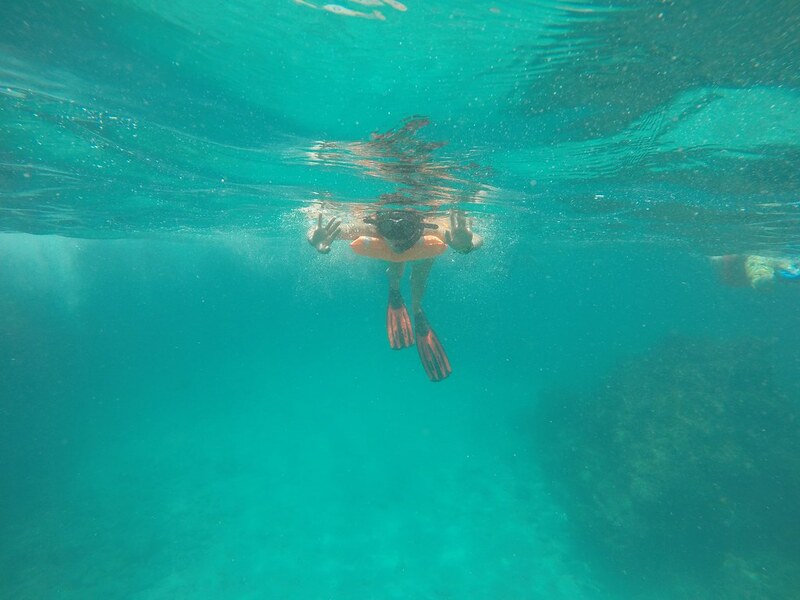 We snorkeled around the island for a good 45 minutes, at least, to an hour. I waved to some nifty blue-colored fish (don’t know the formal name), and N spotted a puffer fish that he followed around for two seconds haha. After snorkeling, we cruised around some of the other islands. Popo, our captain, proved himself a badass. He deftly steered us into super narrow passages, where I thought we were going to crash against the rocks. Somehow, he managed to steer clear and busted a U-ey. This spontaneous excursion definitely added an adventurous flair to our trip. If anyone has the chance to see these islands before they close, I would highly recommend it! Previous Post Hiking the Hollywood Sign! 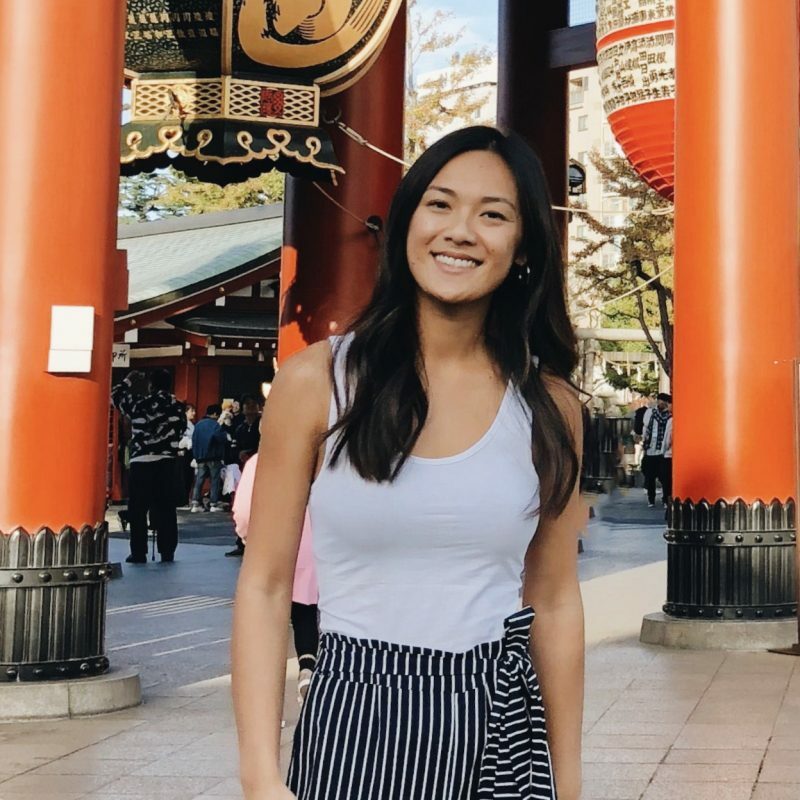 Next Post Where will we be in Japan?